A feature on the rebirth of Fabergé. Last October, a Fabergé hardstone figurine, dated 1912, sold for $5.2 million at Stair Galleries in Hudson, USA, far exceeding its pre-sale auction estimate of US$500,000 to US$800,000. The small Cossak figure was reportedly one of eight that Agathon Fabergé, the younger son of Fabergé founder Gustav Fabergé, had managed to take with him when he fled the USSR in 1927. Discovered in an attic, the figurine was purchased by Wartski, a London-based jeweler that has long been acquiring Imperial Russian works of art, including a dozen of the legendary Imperial Fabergé Easter eggs. Founded in St. Petersburg in 1842, the company became world famous under the stewardship of Fabergé’s other son Peter Carl Fabergé, who took over in 1882, and by the turn of the 20th Century, it had come to epitomize ultimate luxury and quality craftsmanship, as well as the extravagance of the Romanov court, which would eventually prove their downfall. Though best known for its elaborate enameled Easter eggs produced for the Imperial family, the legendary goldsmith and jeweler produced thousands of items, including jewelry and accessories ranging from enameled parasol handles to cigarette cases. These pieces remain very much in demand when they surface at auction. Last November, Christie’s auctioned 17 pieces from the Estate of HRH Prince Henry, Duke of Gloucester (1900-1974). One of the hardstone elephants, a jeweled gold-mounted kalagan jasper example supporting a gold enameled turret, sold for £290,500 ($475,260), compared with an estimate of £25,000 – 35,000 ($40,880 – $57,230). “Demand for Fabergé has continued to grow over the course of the last decade as many important private collections have been built. As a result, there are fewer works in circulation. When works appear at auction, especially those with notable provenance that are fresh to the market, collectors respond enthusiastically,” says Mark Moehrke, director of Russian Works of Art Christie’s, adding that prices have remained strong over the last decade. “The Fabergé market is truly international. Russians have become a dominant force in recent years, but buyers from Europe, America, and countries across the globe remain very active,” Moehrke adds. Russian entrepreneur Viktor Vekselberg, who is considered to be the world’s top collector of Fabergé works, recently opened the first Fabergé Museum at the Shuvalov Palace in St. Petersburg, which houses a collection that is now said to surpass that of the Kremlin Armoury Museum. Vekselberg’s collection includes some 200 objects, including nine Imperial eggs (formerly owned by the Forbes family), which he acquired in 2004, paying over $100 million, as well as some of the 100 cigarette cases acquired from the collection of San Francisco-based art dealer and collector Andre Ruzhnikov. Nearly 100 years after the Bolsheviks confiscated Fabergé’s elegant boutique on Bolshaya Morskaya in 1918, and after more than 50 years of licensing wilderness that saw the Fabergé brand associated with Brut cologne, shampoo, cowboy boots, and cheap jewelry, the House of Fabergé has been re-launched as a fine jeweler under the stewardship of Katharina Flohr, formerly a jewelry editor at Tatler in London, with Tatiana Fabergé and her cousin Sarah Fabergé, two great-granddaughters of Carl Fabergé, on the advisory board. The creative director admits that one of her early challenges was finding the craftsmen who would help bring her vision to fruition and she spent the first year and a half sourcing workshops, particularly in Switzerland and France. “Convincing these experienced craftsmen to work with the brand was difficult at first, especially those doing fabulous jewelries, because they had to find out whether it was worth their time working with us,” she recalls. 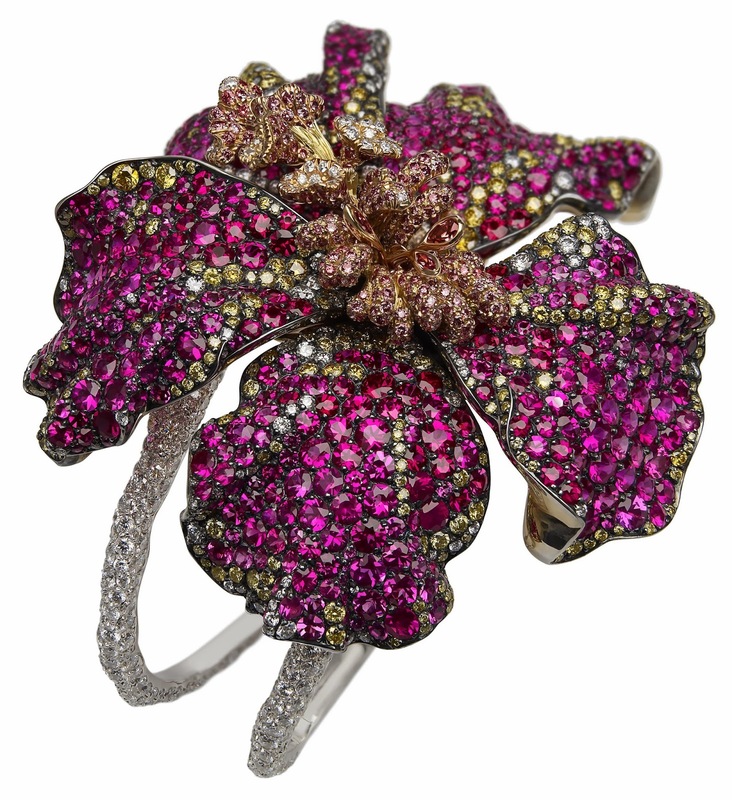 French jeweler Frédéric Zaavy was roped in to produce 80 unique pieces for the first collection of the new House of Fabergé, which was released in 2009. Sadly, the jeweler passed away in 2011, which put an abrupt end to the nascent collaboration. Today, Fabergé has established relations with an extensive network of artisans in France and Switzerland who span a range of artisanal techniques from enameling and hardstone carving to guilloché, hand engraving, cloisonné, and the difficult skill of guilloché enameling. This tradition of outsourcing to various craftsmen had also been used by Carl Alexander Fabergé. Cynthia Coleman Sparke, specialist at Bonhams, says there was an entire hierarchy of makers associated with Fabergé, with the firm's output crafted by various work masters. “Prices fetched at auction can reflect whether the "maker" was a head workmaster or simply a workshop to whom the firm outsourced,” she says. “Rather than burdening a piece with expensive diamonds and giving prominence to precious metals, the ‘value’ of a Fabergé piece was sometimes in the combination of materials such as the use of a native hardstone contrasting with crisp gold accents. Hjalmar Armfelt excelled in creating hardstone frames enriched with flowing ribbons and floral garlands. A recent example presented with an original fitted case that achieved over five times its pre-auction estimate is largely due to how characteristic this example was of Armfelt's output”, Coleman Sparke explains. Flohr says today the greatest challenge she has is “finding the right ratio between pricing and costing to make it appealing with regards to the laborious work involved.” “Fabergé had the great fortune to be born into a time that could afford him. His type of workmanship was labor intensive and required great skills, and if it wasn’t good enough it was demolished. To translate this today is a little bit trickier,” Flohr notes. With no detailed archives left from Carl Fabergé’s ateliers, Flohr has had to rely on what she sees coming up at auction and what is on view in museum as sources of inspirations. “As I’ve said, I have never been interested in reproducing existing pieces, it’s more about capturing a moment, a feeling, a story,” Flohr explains. Indeed, the creative director has been mining Russian culture and history to inspire collection like “Les Fables” that is inspired by Russian fable and folklore, or her Constructivist capsule collection, which was influenced by the powerful modernist Russian art movement led by artist Kazimir Malevich. 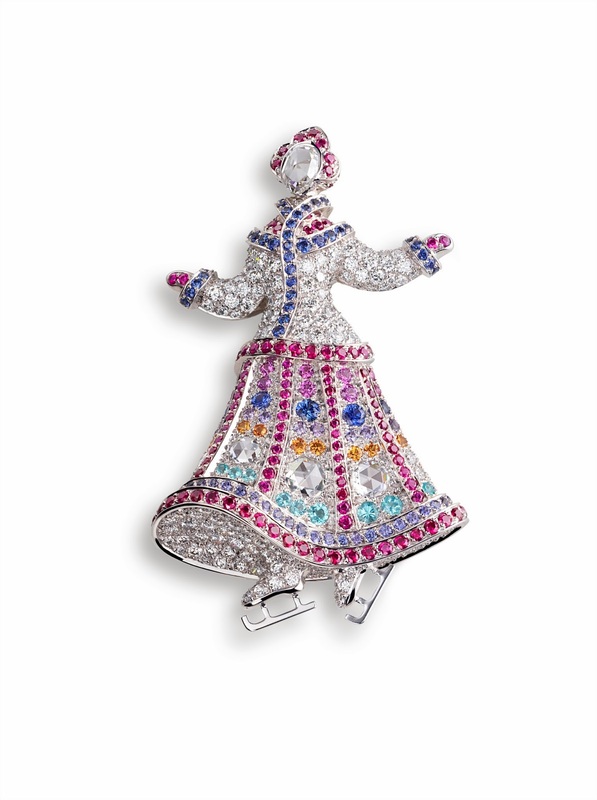 Many will have eagerly anticipated a revival of one-of-a-kind jewelry eggs, but Flohr waited until 2011 to produce the first collection, dubbed ‘Les Fameux de Fabergé’, with each illustrating a traditional Russian proverb. She also opted for pendant-sized eggs rather than larger objects d’art. “The egg is what draws the customers in and once they are (drawn in) they’re always surprised by what else we do,” Flohr says. She is particularly proud that her master craftsmen have been able to achieve what Carl Fabergé himself couldn’t in his time: an entire enameled cloisonné egg. “This is an incredible feat. He actually never did an entire egg; it was always two halves. It took us a very long time to achieve this,” she notes of the new technique.